As we progress solidly into 2014 this year is showing its nature. It's a powerful year but it ain't easy by the feel of it so far. Things are SHIFTing in my own process and in the process of people I interact with on a regular basis - family, friends, colleagues and clients. It's kinda a 'hold onto your hats' energy as a changing of the tide happens. I wrote of the death of my beloved Aunt Rose Mary last month. This month my boyfriend Darius, and his family, say goodbye to Nancy, their loving matriarch. Many of my clients are letting go in other various ways too - of jobs, geographies, relationships, identities, chronic emotions and body states, etc. And going through the heroic task to clarify and attract what's next. This 'neutral zone' can often involve the release or change of things that one is very accomplished at and the development of new expressions. And the sometimes awkward growth pains that can accompany learning or growth curves. One strategy to develop your chops at something new is to do pro bono or lower fee work to gain experience, confidence and hone in on your 'it'. In today's article I share why this strategy is one of my favorites that I've employed repeatedly with great results. In today's article I share why this strategy is one of my favorites that I've employed repeatedly with great results. And also the pros and cons to making a smart decision about this approach. ONE OF MY MOST FAVORITE PROFESSIONAL AND PERSONAL EXPERIENCES! "My journey through Visual Coach Certification is one of my most favorite professional and personal experiences. I sought out Christina Merkley's expertise to develop my Graphic Recording skills for use in the consulting business I own with my sister. What I found was my PASSION ... for Visual Coaching and helping others. To say this program exceeded my expectations is an understatement! I was so impressed with how the 17 visual maps so naturally lead me to "my best self" that I wanted to be trained and certified to hold that special container for others too. 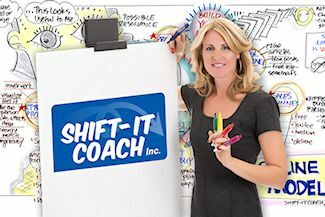 The SHIFT-IT Visual Coaching System is clearly created by years of experience, deep thought and creativity. Christina is most generous with her knowledge, best practices and processes. As a student of Fundamentals of Interactive-Visuals and SHIFT-IT Online (the prerequisites for Certification) I've been very impressed by the detail, flexibility and thoroughness of her courses. A true mentor in working visually with groups and individuals. I have learned a great deal and am excitedly incorporating my passion for coaching and working in a visual way into our business. Thank you, Christina! " 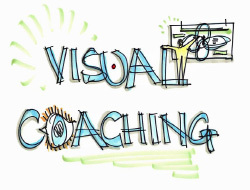 Become a Certified Visual Coach®. For leading-edge coaches, counselors and therapists from around the globe. 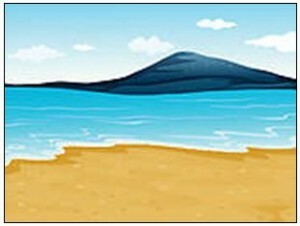 Add the power and innovation of Visual Coaching to your own professional practice. Includes advanced visual coaching techniques, use of my SHIFT-IT System® with your clientele (17 visual maps), guidance in the 'template-izing' of your own intellectual property, plus marketing and biz development support. Over 87% of your consulting, facilitation, training, coaching, and counseling clients are Visual Thinkers – learn powerful visual skills to boost the effectiveness of how you work with them. 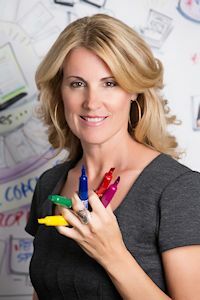 This in-person, professional skills training thoroughly covers Studio Work, Graphic Recording, Graphic Facilitation and Graphic Coaching (the four main applications of working visually with groups and individuals) so you can add these powerful tools to your own process toolkit. This work is about 'content', 'process' and 'message', not art. You DO NOT need to be an artist to successfully work in the visual medium. I break it all down step-by-step so you are delighted with what you can accomplish in three days! P.S. Dates of this offering won't work for you? Alternatively, you may book a Private Training customized for your unique needs at a date that works for you. Have a whole group to train? If so, see In-House Trainings. 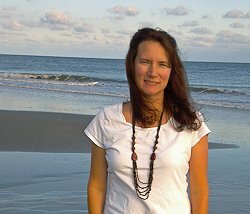 Christina Merkley has some availability in 2014 for customized Private Trainings and Apprenticeships and Biz/Life Coaching. Excellent if you desire a fast SHIFT or prefer tailored, premium attention. Email [email protected] to book Exploratory Chat with Christina to discuss your goals and determine which package best for you. I'm in the biz of helping grown adults SHIFT. And I do a lot of SHIFTing myself in the process too - as like attracts like. Often my clients are in the midst of a big developmental step. They are either younger folks (25-45) who really want to get clarity and traction on their professional and/or personal 'IT'. Or more seasoned folks (45-65 ... I'm in that category now so I can call us seasoned!) who had clarity and its changed on them - so they are in the process of determining what is now right for them (i.e. mid-life transition). Whatever life stage, my clients want to integrate more creativity, authenticity and heart into their work and lives. In addition to biz and life coaching, some are also attracted to the process skills I teach, including Interactive-Visuals (i.e. otherwise known as Graphic Recording, Graphic Facilitation, Graphic Coaching etc). Like any new skill, one does not learn Process Work over night. One has to go through a learning, confidence and craftsmanship curve over time. A curve that involves finding safe, supportive and congruent places in which to practice one's craft. 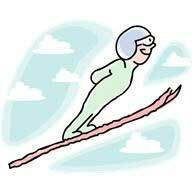 Given we just had the Olympics, I like the analogy of ski jumpers. These skilled folks did not immediately tackle the magnificent jumps we see them competing on. Instead, there was an incremental, step-by-step development of their skills that ultimately culminated in the heights they are now comfortable with. Inevitably, whether I'm mentoring someone privately or they are a participant in one of my courses, eventually they have to take their new skills out into the world. There is lots they can do to hone their skills in the sanctity of their quiet studio, but eventually, if they truly want to do the interactive process work, they will need to find groups and/or individuals to work with (either in person or online). And, for a while, this can be a bit of a dilemma. That is where volunteer, pro bono or reduced rate can come in handy. 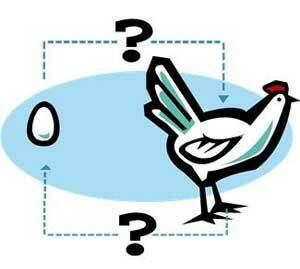 One way around the chicken and egg (which comes first!) catch 22 of wanting to work but not having enough experience or confidence to charge fully, is to offer your services for pro bono or reduced rate or to just plain volunteer. In the case of Interactive-Visuals work, there are plenty of groups and individuals who are intrigued by the visual way of working. Some just need to be educated a bit about what it is to give it a try. Others know what it is but might not be able to invest in what a seasoned professional requires. So offering your services, at least for the beginning stage of your development, can be a smart strategy. Now, I need to clarify things a bit. I am NOT saying that you learn at the expense of your client. You DO need to get your skills as developed as you possibly can before you reach out. With Interactive-Visuals there are all sorts of ways to practice skills to get them up to a decent competency level (lettering & drawing drills, chart work, template creation, sketchnotes, scribing from audios, etc). You can also do mock engagements with other students to develop your chops. However, there will come a time where you will have to make the leap to a 'real' group or person. The arrangement you contract for needs to be a WIN/WIN for all and each party needs to honestly know what is going on (its not cool to hide or play games with your level of competency). Be direct and be honest. And present your skill level as it truly is. Clients need to know what the situation is so they can make informed decisions for themselves. I have done pro bono work at various stages of my career: when I was in grad school studying Organizational Development (internships) and in my thesis project. When I moved back home to British Columbia after a decade in San Francisco (and nobody knew what the heck Graphic Facilitation was). When I first developed the Visual Coaching niche (and was hashing out what would become my SHIFT-IT Visual Coaching System). In my SHIFT-IT Central program (a weekly drop in I did for years). And now, as I experiment with a methodology called "BodyTalk" (another tool in my toolkit to dissolve the resistance of clients regarding their goals). In ALL cases it was a smart move for me (and for my clients). I had something from my past I could capitalize on that was valuable to the people I volunteered my services to. In exchange, they allowed me to work with them which was excellent for the experience, contacts and often for the testimonials and portfolio pieces I gained their permission to share. 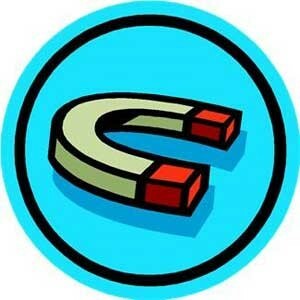 And more times than not, more invitations were attracted (some at regular compensation). This is a strategy that I know, that has worked very well for me, and one I often coach my clients on. Plus with the Law of Reciprocity, what you give comes back to you in some form or other. Karma. Now ... doing volunteer or pro bono has a shelf life and its often not very long. This can be a wonderful stage in your skill development and career, but ultimately it will be temporary. There will come a time when you know the strategy has run its course - and that is when you begin to feel any sort of resentment. The spirit and energy of this strategy is very important. You do volunteer or pro bono (or reduced) for as long as it feels sweet. When it retains a true WIN/WIN split. When/if it shifts on you, you need to progress to other skill and biz building strategies. Cause it's not fun for anybody (you or your client!) when you do something you aren't fully behind anymore. Everything is energy! Hopefully I've inspired you to consider volunteering your services, at least when you are in the skill building phase of your journey. Here at SHIFT-IT Coach, Inc we have two areas where we volunteer services. The first opportunity is with our yearly cohort of Visual-Coaches-in-Training. Each of these coaches, as they make their way through the requirements of Visual Coach Certification, need to line up 'practice clients'. All of the folks we admit into this innovative program are already ethically enabled to work with individuals and most are already seasoned Process Professionals. If you are interested in being a practice client for a coach who is looking for a client to practice her/his Visual Coaching skills on, please contact [email protected] and we'll add you to our list. The second opportunity is with me. I am volunteering my services, for a limited time, for clients in Victoria, British Columbia, Canada to assist with my integration of Visual Coaching with BodyTalk. This opportunity is currently only available to folks who can visit in-person in my office (eventually I'll be able to work with long distance clients). To learn more and to book your time, click here.